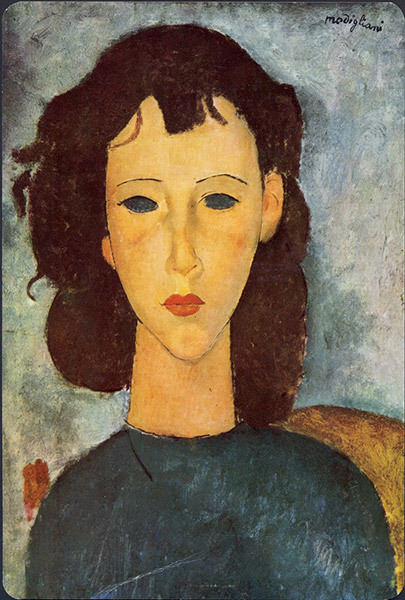 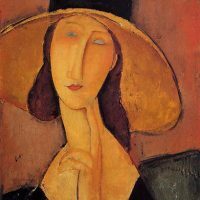 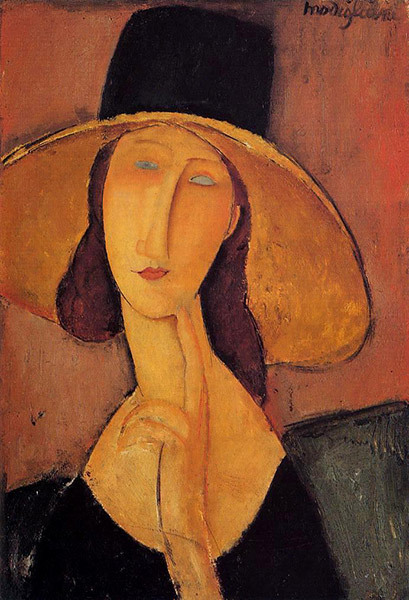 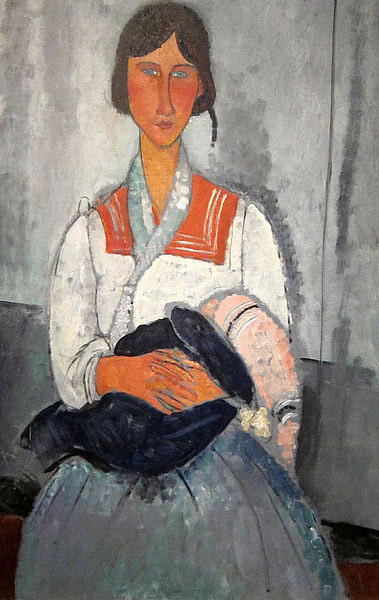 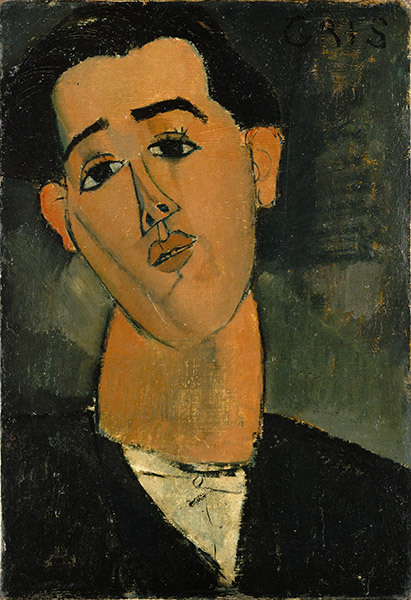 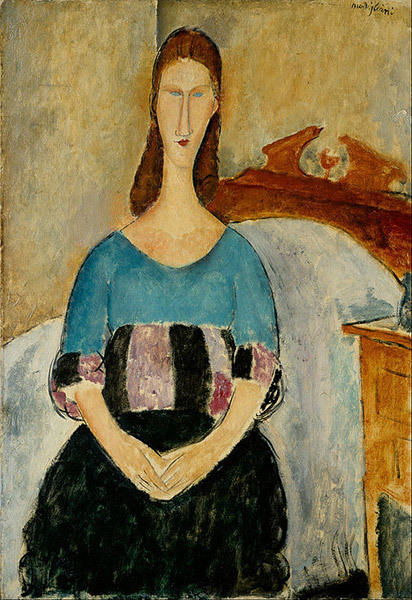 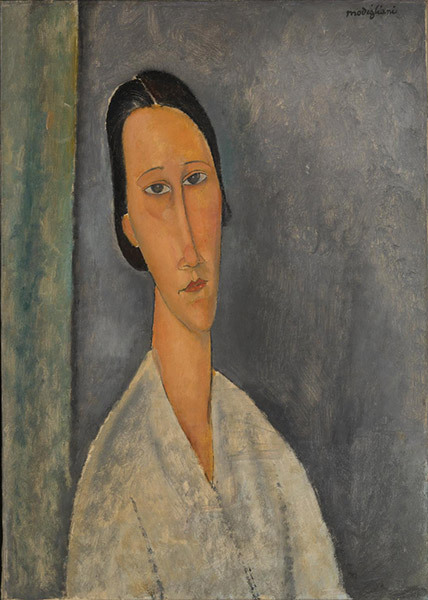 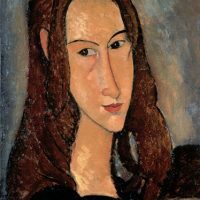 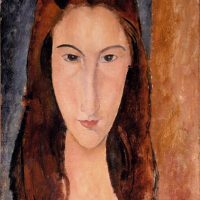 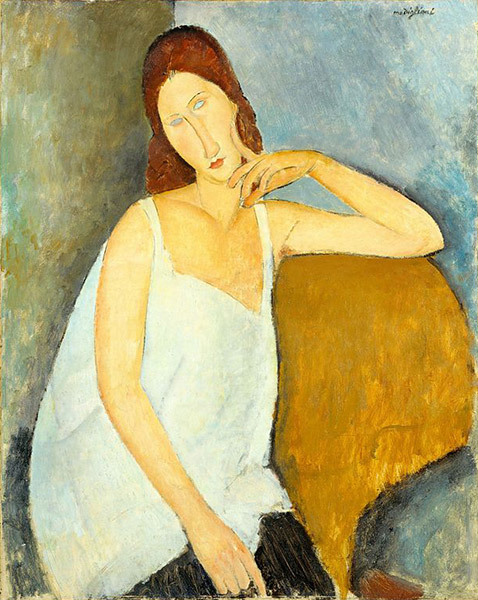 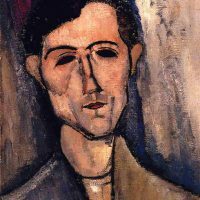 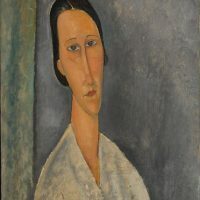 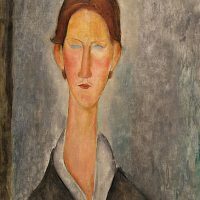 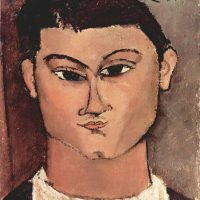 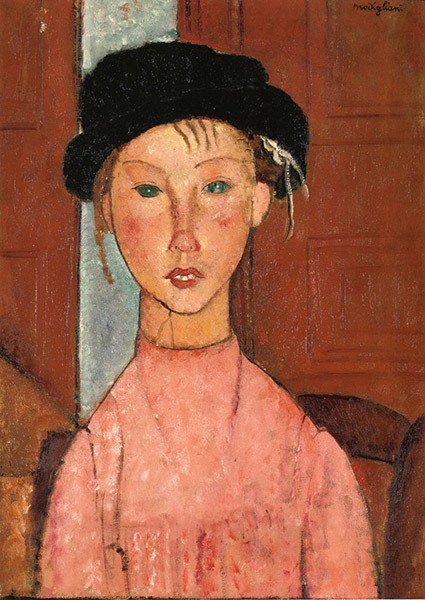 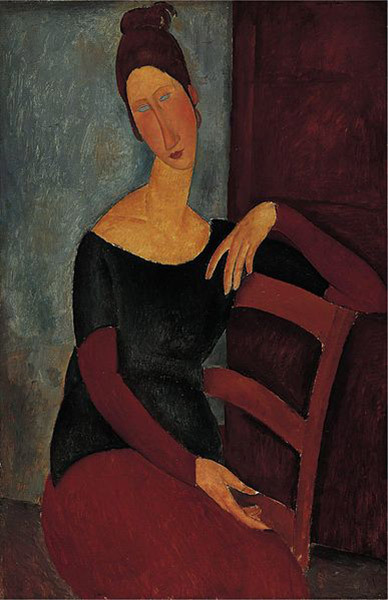 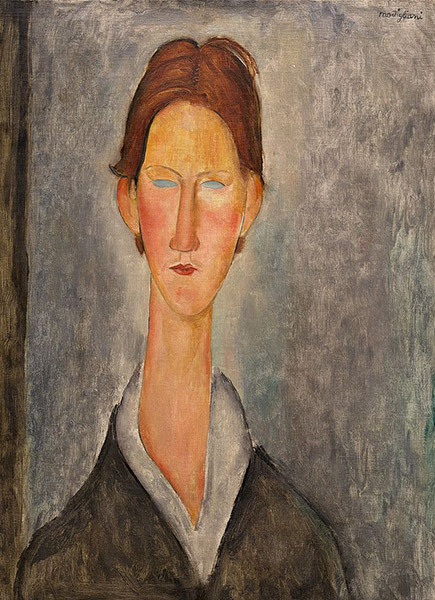 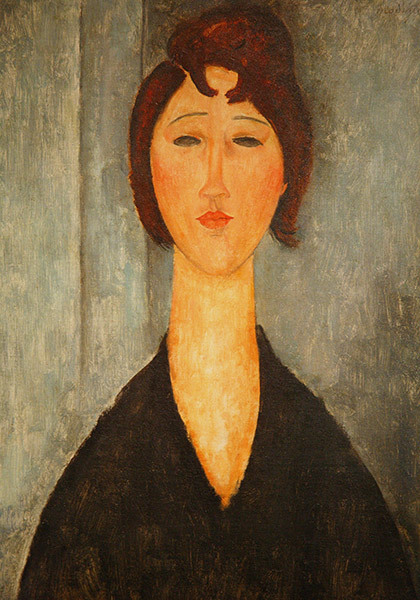 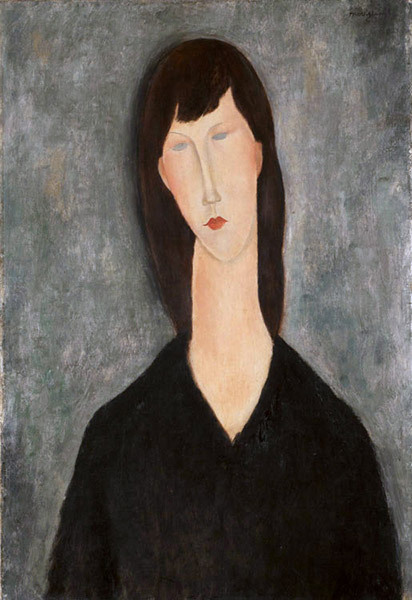 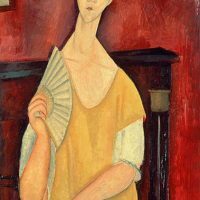 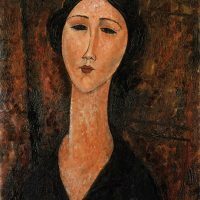 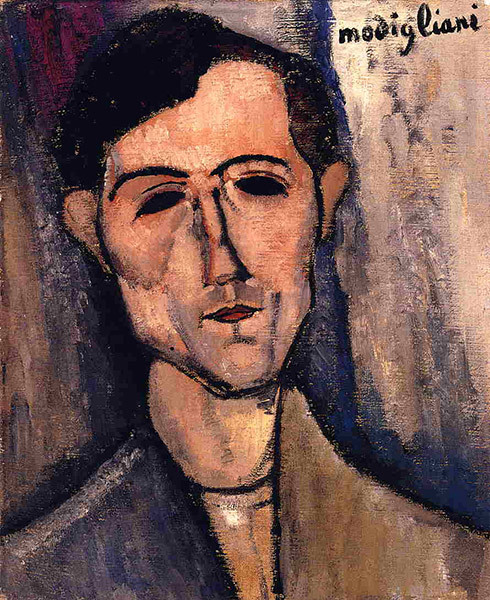 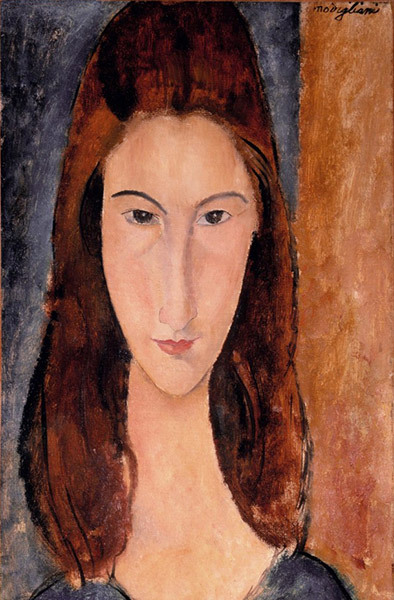 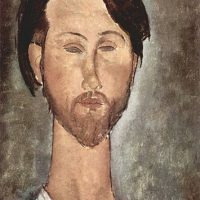 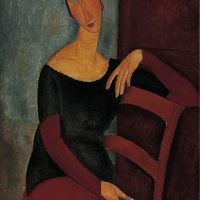 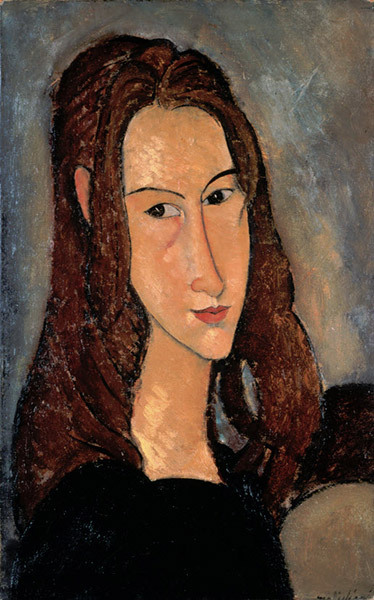 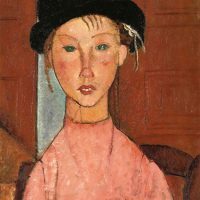 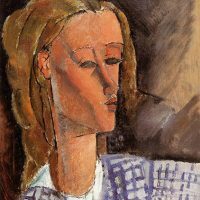 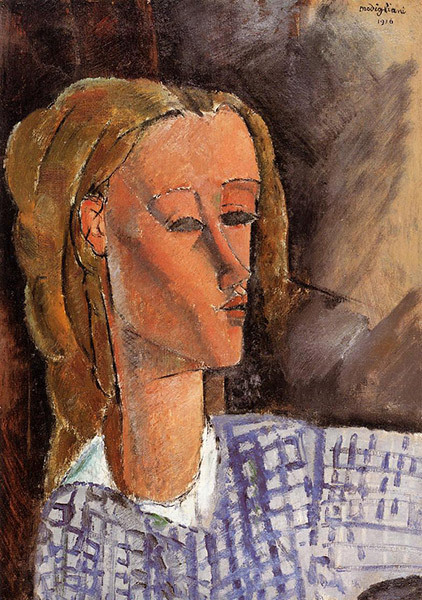 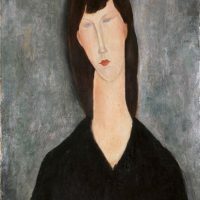 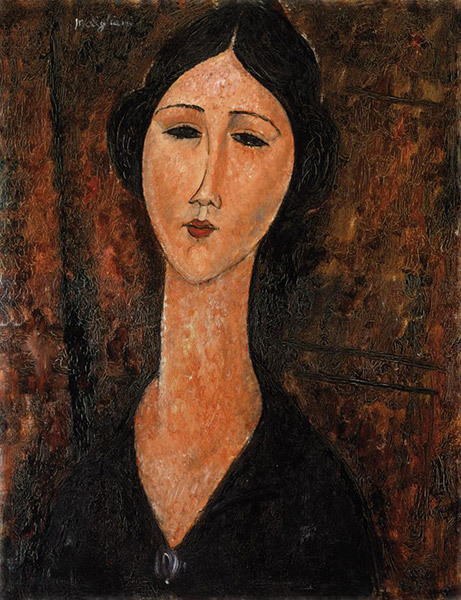 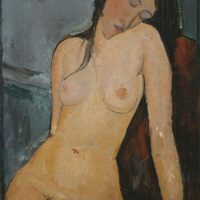 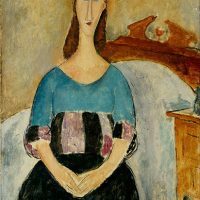 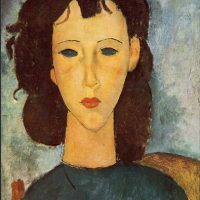 Amedeo Clemente Modigliani (July 12, 1884 – January 24, 1920) was an Italian artist of Jewish heritage, practicing both painting and sculpture, who pursued his career for the most part in France. 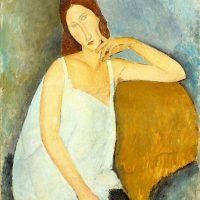 Modigliani was born in Livorno (historically referred to in English as Leghorn), in Northwestern Italy and began his artistic studies in Italy. 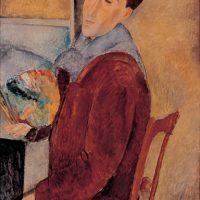 He settled in Le Bateau-Lavoir, a commune for penniless artists in Montmartre, renting himself a studio in Rue Caulaincourt. 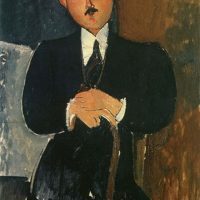 Even though this artists’ quarter of Montmartre was characterized by generalized poverty, Modigliani himself presented-initially, at least-as one would expect the son of a family trying to maintain the appearances of its lost financial standing to present: his wardrobe was dapper without ostentation, and the studio he rented was appointed in a style appropriate to someone with a finely attuned taste in plush drapery and Renaissance reproductions. 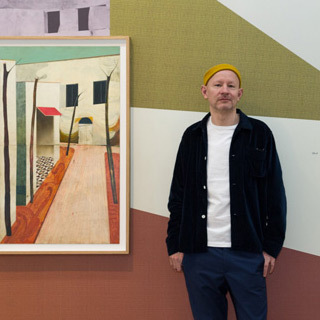 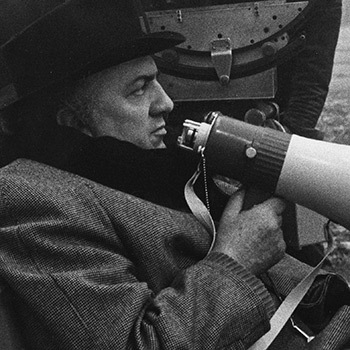 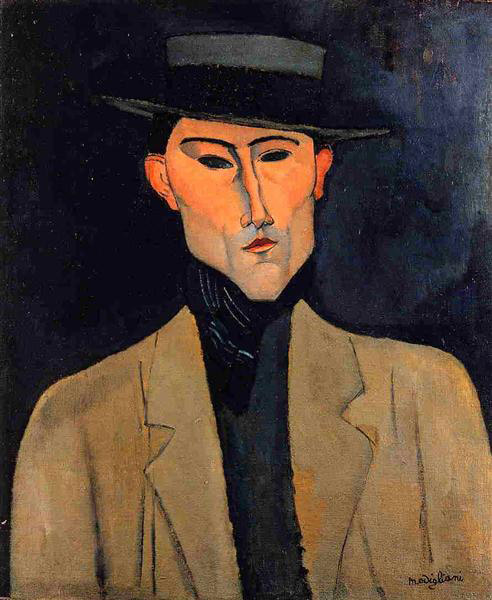 He soon made efforts to assume the guise of the bohemian artist, but, even in his brown corduroys, scarlet scarf and large black hat, he continued to appear as if he were slumming it, having fallen upon harder times. 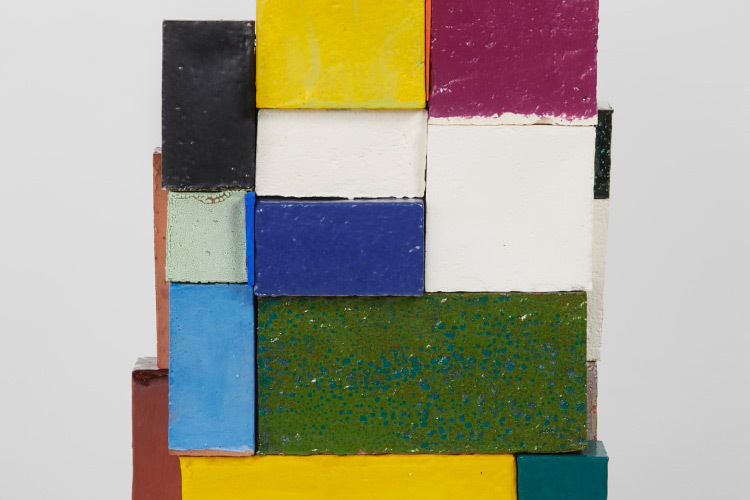 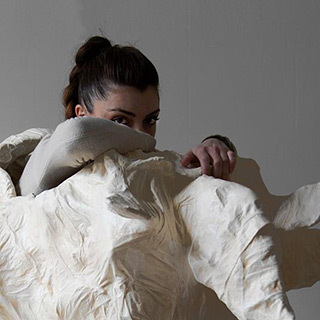 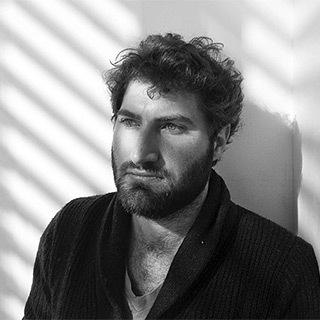 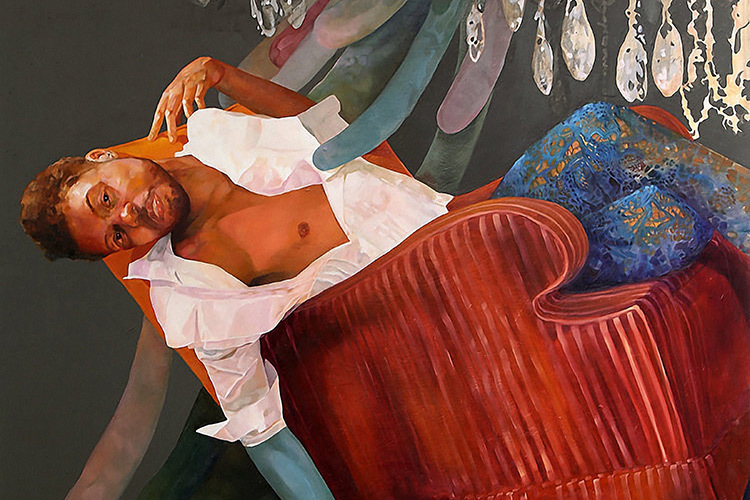 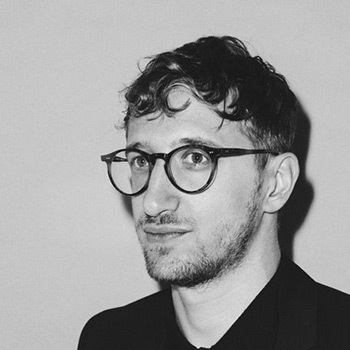 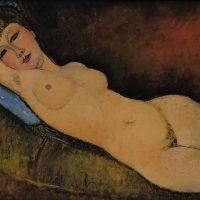 When he first arrived in Paris, he wrote home regularly to his mother, he sketched his nudes at the Colarossi school, and he drank wine in moderation. 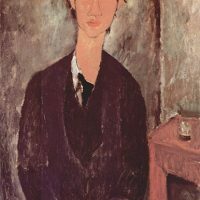 He was at that time considered by those who knew him as a bit reserved, verging on the asocial. 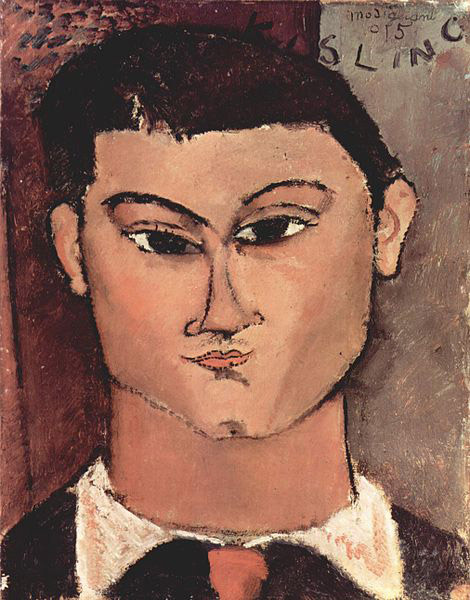 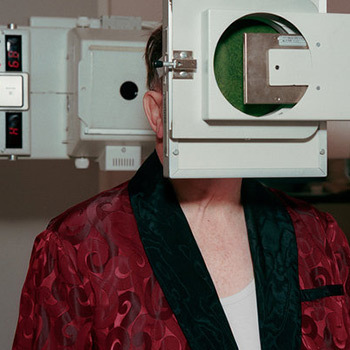 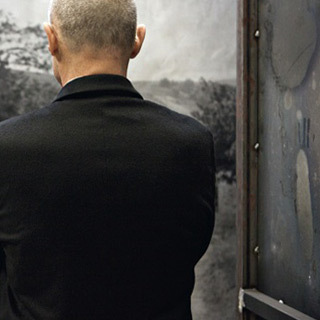 He is noted to have commented, upon meeting Picasso who, at the time, was wearing his trademark workmen’s clothes, that even though the man was a genius, that did not excuse his uncouth appearance. 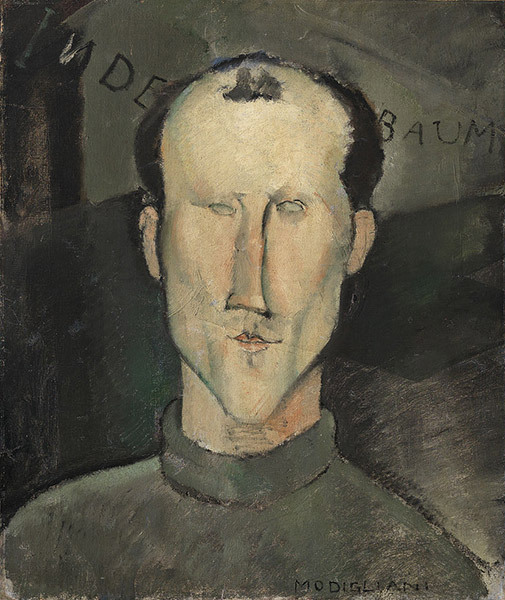 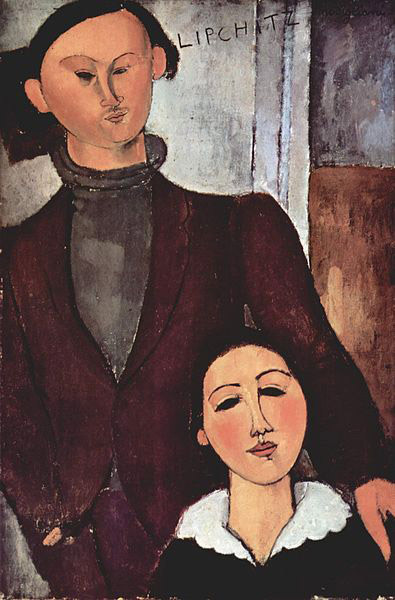 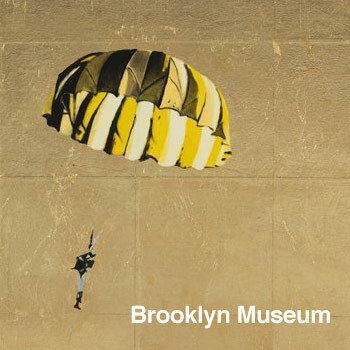 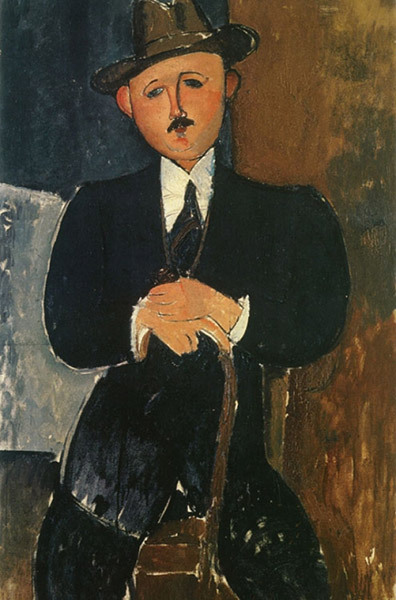 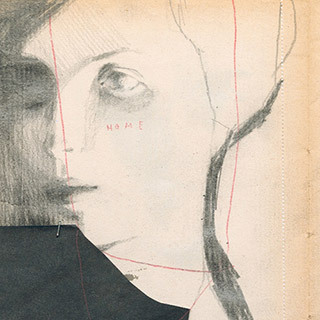 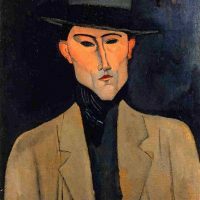 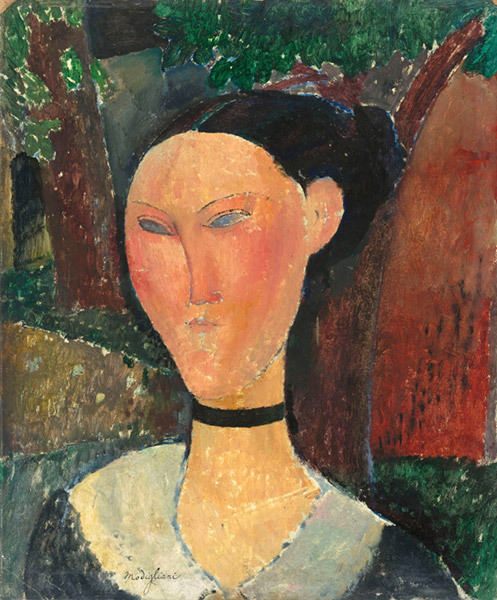 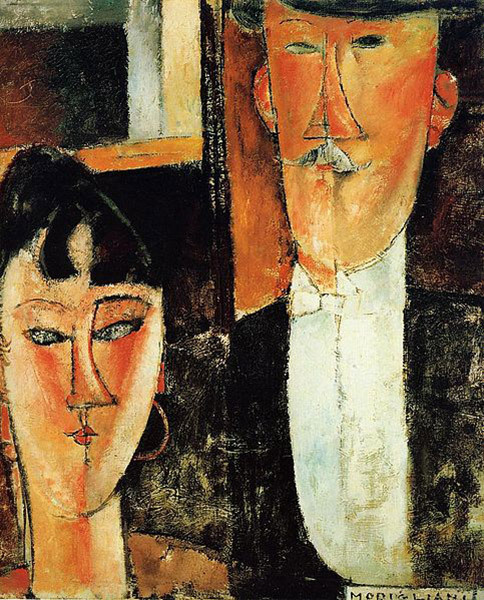 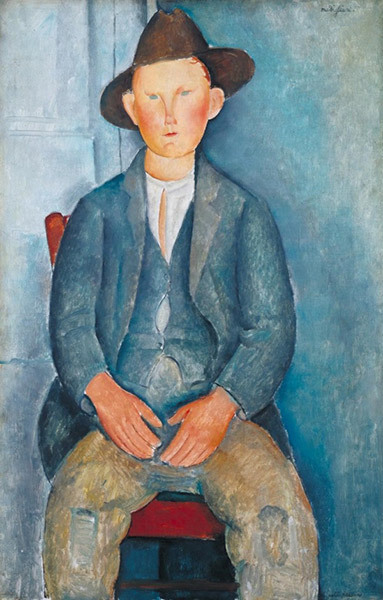 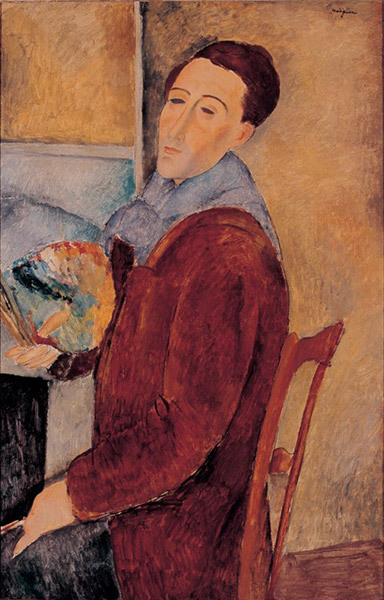 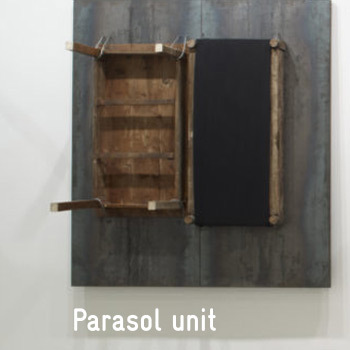 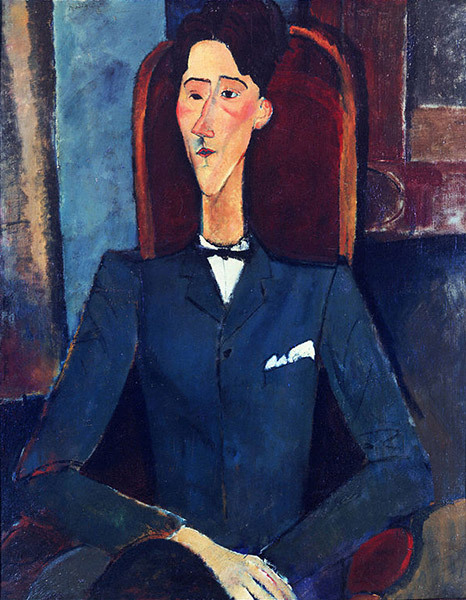 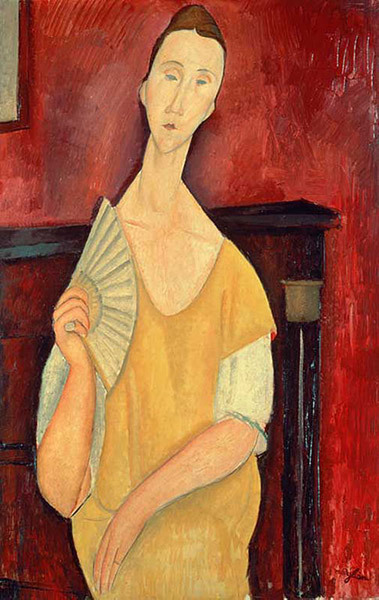 In 1917, Modigliani’s first one-man exhibition opened at the Berthe Weill Gallery. 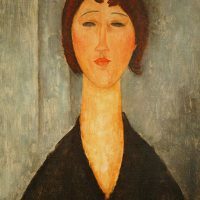 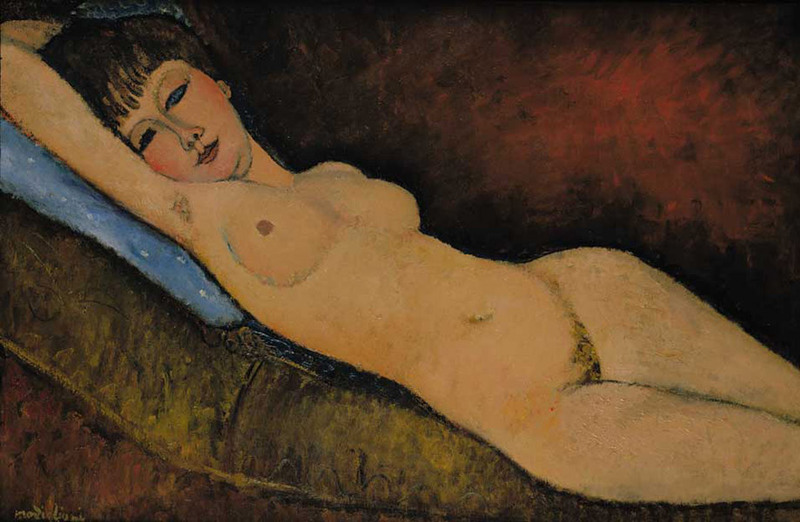 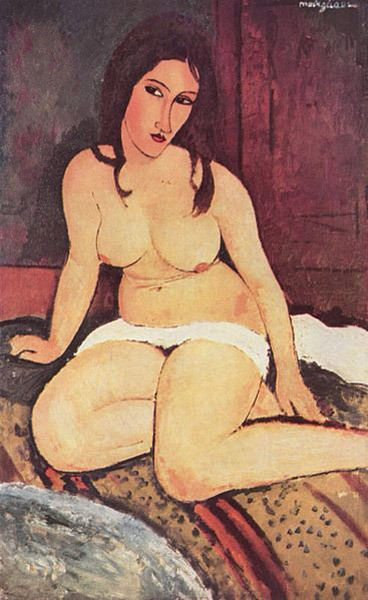 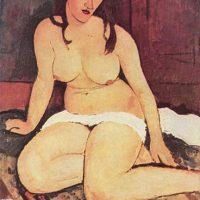 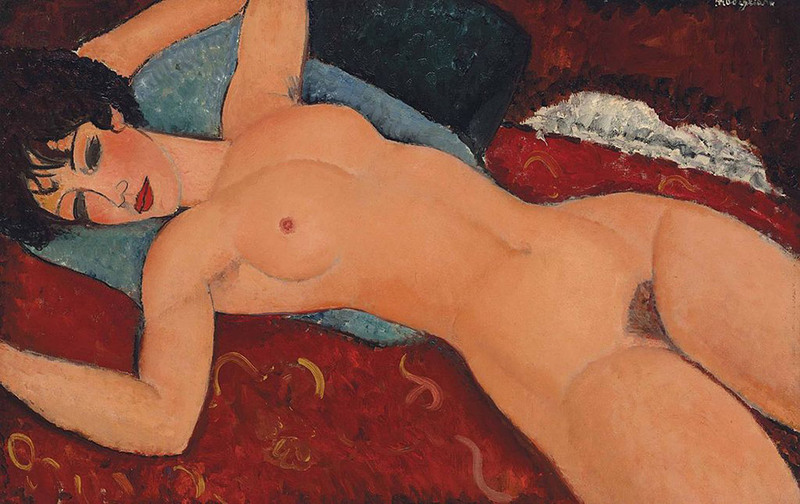 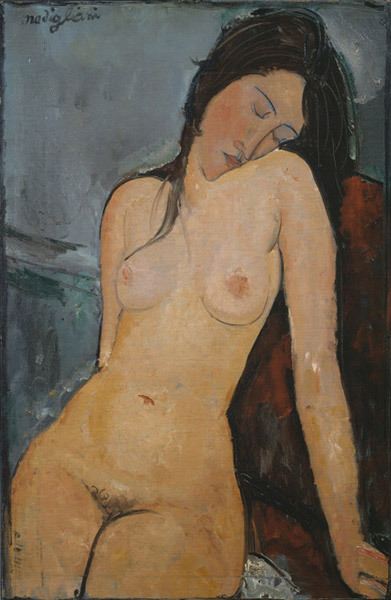 The chief of the Paris police was scandalized by Modigliani’s nudes and forced him to close the exhibition within a few hours after its opening. 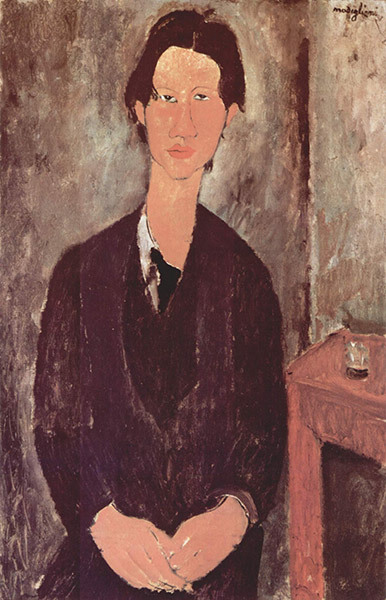 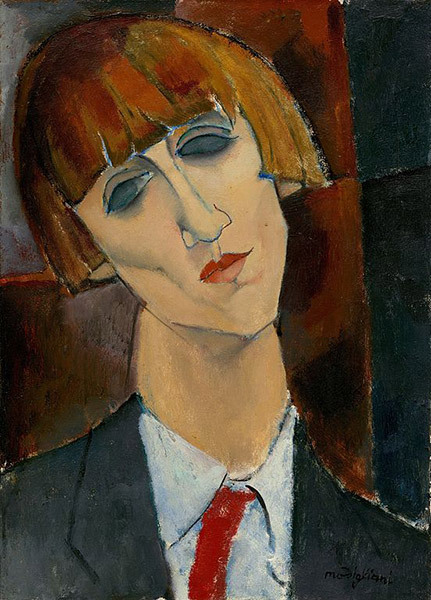 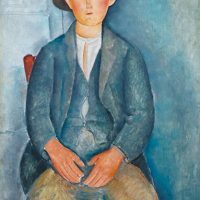 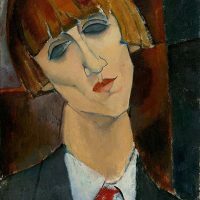 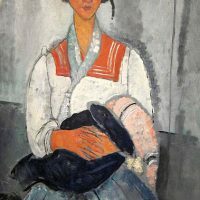 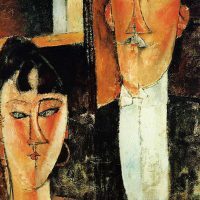 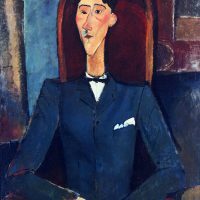 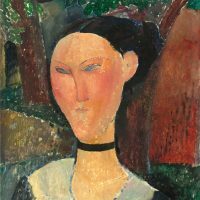 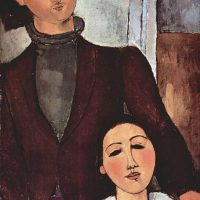 Modigliani’s behavior stood out even in these Bohemian surroundings: he carried on frequent affairs, drank heavily, and used absinthe and hashish. 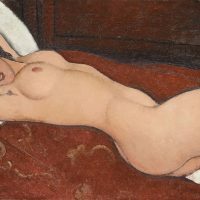 While drunk, he would sometimes strip himself naked at social gatherings. 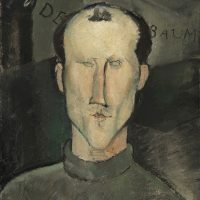 He became the epitome of the tragic artist, creating a posthumous legend almost as well-known as that of Vincent van Gogh. 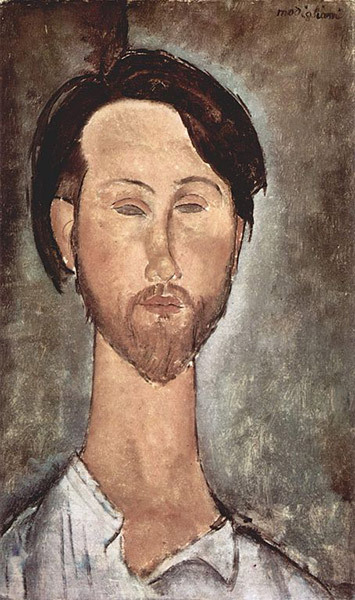 In fact, art historians suggest that it is entirely possible for Modigliani to have achieved even greater artistic heights had he not been immured in, and destroyed by, his own self-indulgences. 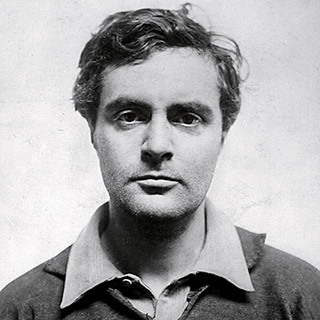 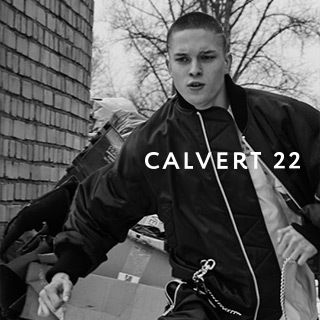 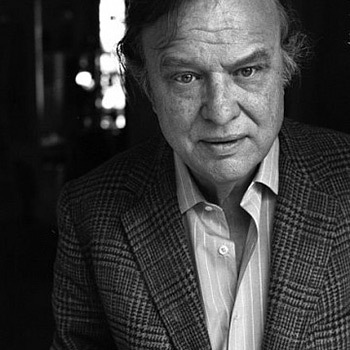 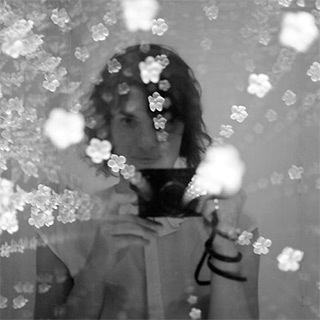 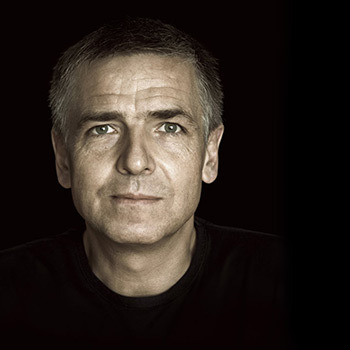 We can only speculate what he might have accomplished had he emerged intact from his self-destructive explorations. 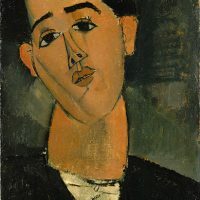 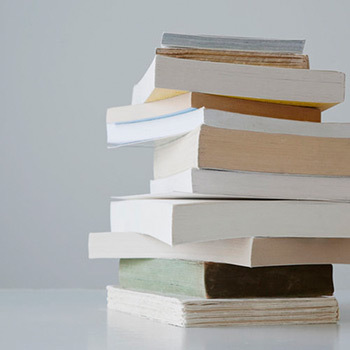 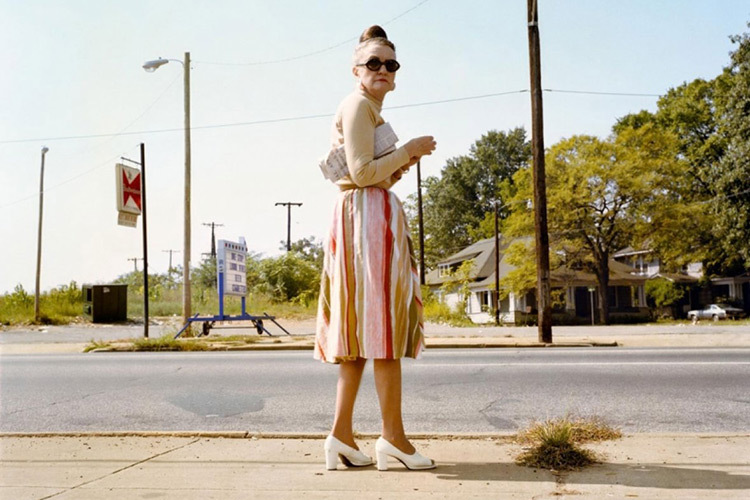 He died in Paris of tubercular meningitis, exacerbated by poverty, overworking, and an excessive use of alcohol and narcotics, at the age of 35.